I have become caught up in the whole 75th Anniversary of Lou Gehrig’s famous speech. He was so softspoken, humble, and interviews were so few in his era that most did not even know what Gehrig’s voice sounded like. Unlike his teammate, Babe Ruth, he just went about his business without a lot of hype and noise. Gehrig, a first baseman, did some things Ruth couldn’t match: a four-homer game, a Triple Crown and stand-alone records of 500 RBI over a three-year span and 23 career grand slams. His performance on the field spoke for itself. His speech was a baseball moment that had nothing to do with playing. 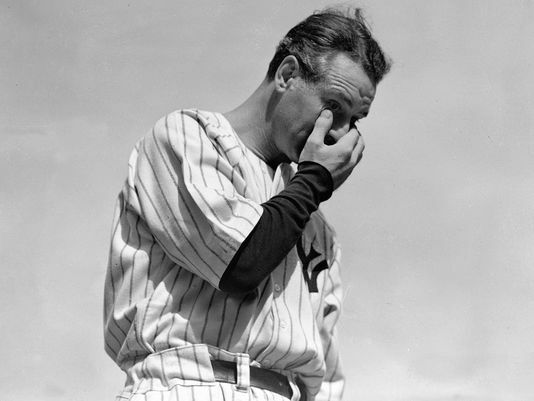 The speech spoke a lot to Gehrig’s character and the respect he got as a player. He was faced with such tough knowledge but realized his blessings and focused on that. Lou Gehrig to me is the symbol of a team leader who possessed tremendous class, determination, and work ethic. He ended his career after playing 2,130 consecutive games. That would be 11.83 straight school years (180 days) without missing. How many educators can say they’ve done that? I have come close, but isn’t that the ultimate statement of loving what you do? Lou Gehrig and Cal Ripken Jr. believed it was their duty to be their for their teammates and fans. Additionally, it was a personal motivation to be great. Shouldn’t we as leaders have that same motivation for our students and teams? Cal Ripken Jr. eventually broke Gehrig’s streak with 2,632 consecutive games. 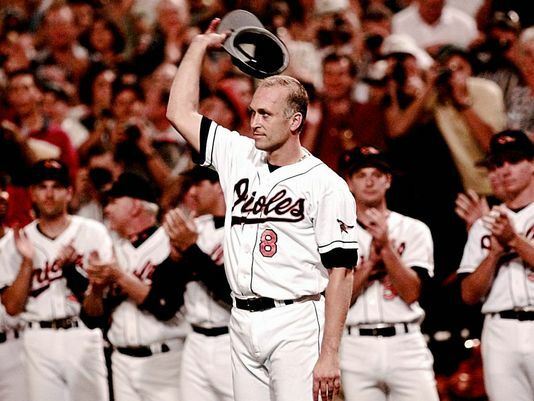 After breaking the record in 1995 Ripken was quoted saying, “Tonight I stand here, overwhelmed, as my name is linked with the great and courageous Lou Gehrig, I’m truly humbled to have our names spoken in the same breath.” It speaks a lot to his character and the respect he got as a player. He was faced with such tough knowledge but realized his blessings and focused on that. Lou Gehrig and Cal Ripken, Jr. gave us examples of how to be team leaders who walk the talk. We need to realize how lucky we are as leaders and take time to appreciate the opportunities we have been given. When Gehrig said he was the luckiest man on the face of the earth he was saying he realized how fortunate he was be be given the opportunity to do something he loved and had given everything he had for. Shouldn’t we be striving for the same thing in our own situations? I know I consider myself lucky every day for having decided to go into the field of education! As I sit here in our Nation’s Capitol today with my family celebrating our country’s founding and independence, which I reflected on in yesterday’s post Leading Audaciously, I continue to reflect on what this holiday means to us as the luckiest of leaders. We too should declare our freedom from mediocrity, our freedom to choose, and our freedom to be great!